Ships from Hong Kong. 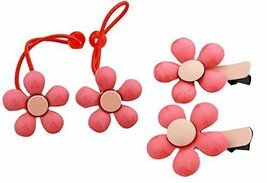 These Flower hair tie are perfect to children and young girl. With the wide range of colors and patterns, there will be great for every taste, every outfit and every occasion. Special design and unique structure, a popular item. Unique, fashion style, full of vigor and vitality, naughty and nice. 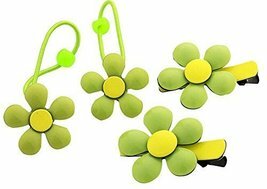 These ponytail holders also keep ponytails tight while working out or for casual style. 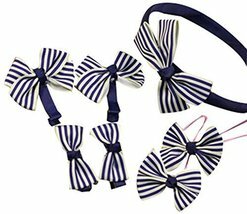 Easy to carry in a purse or workout bag so you can change looks instantly. 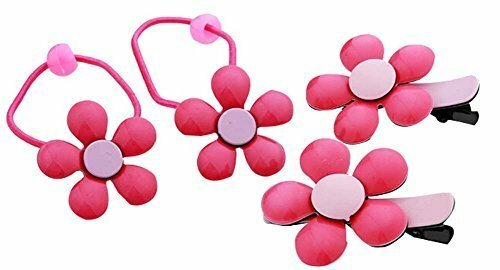 Cute design for your ponytail.Colorful Hair Elastics .Hair clip Hair rope set, lovely flower design, let your baby more cute.